See where Texas wine is made! 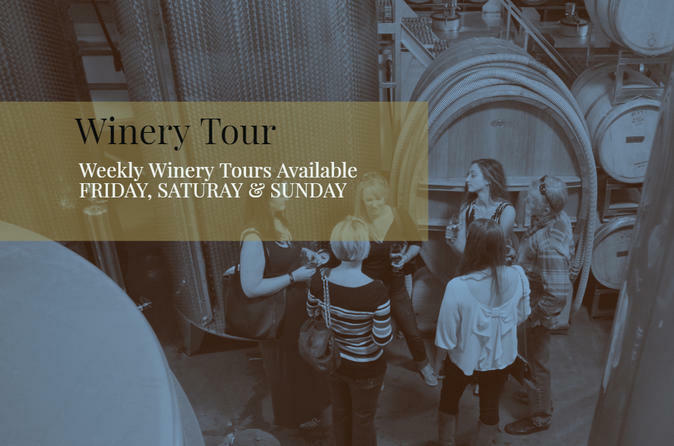 Join us on Friday, Saturday & Sunday for a guided winery tour and a sampling of six Texas-made wines. You'll begin your tour by arriving in our Texas Tuscan Tasting Room for a guided wine tasting from one of our "Wine Divas". You'll learn the 5's of wine tasting, taste the subtle differences of Estate Grown grapes and Texas High Plains grapes, and find favorites to take home.